Israel: how does the country's political status influence its performance in global rankings that measure talent attraction potential, public diplomacy and soft power strength, environmental sustainability and economic development? What influence have recent political developments had on the international reputation of Israel? Answers in this summary of global reports, studies and rankings on country performance, brand image and reputation. How Israel performs as nation brand, and its reputation strength. 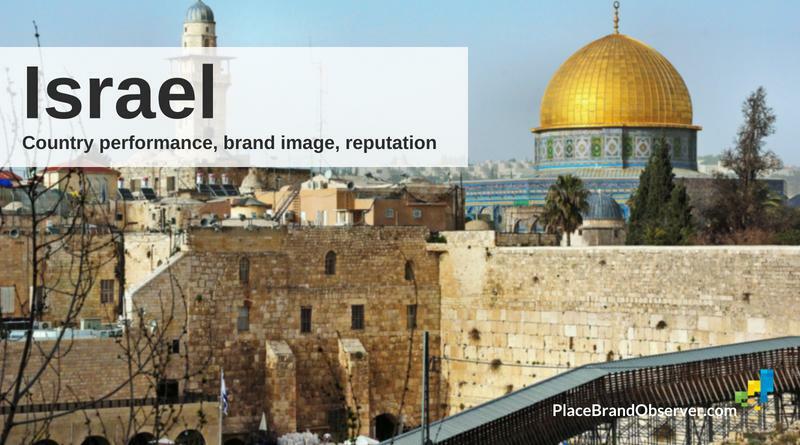 What are the benefits of doing business in Israel? Israel’s performance in two major indices that analyze numerous aspects of economic competitiveness shows rather contrasting tendencies. While the country has been descending in World Bank’s Ease of Doing Business Index, it has simultaneously improved its standing in the Global Competitiveness Index. Israel’s ranking in the 2018 Ease of Doing Business index is moderate: in 2018 it positioned 54th. While the protection of minority investors ranks fairly high (16th) in this report, the performance of Israel’s other economic pillars is weaker. The most troublesome procedures are registering property (130th) and paying taxes (99th) in Israel, according to the study. The country’s ranking has been deteriorating successively over the past decade. In 2008 it positioned 29th, in 2013 it was already nine positions lower, and by 2016 Israel had already fallen to position 53. WEF’s Global Competitiveness Index 2017-2018 gives Israel a much higher valuation, ranking it 16th overall. The country’s strongest pillars, according to the index, are innovation (3rd) and technological readiness (7th). Israel’s market size (56th) and its macroeconomic environment (39th) are considered its weakest performers.